Baby, it's cold outside, but the sun isn't forgiving us anything. We’ve all been schooled and splained and browbeaten about how to protect our skin from the sun, but most people make the mistake of thinking sun means summer sun only, and it’s just not true. Winter weather can be just as damaging and problematic and just when we should be doubling-down on sun damage protection – we do the opposite and slack off. We know it is counterintuitive but shake loose a few brainwaves and read on. UVA and UVB rays are what challenge our skin. Although UVB rays are less potent in the winter months, they are also the less damaging of the two. UVA rays are ever present and just as harmful, year round. 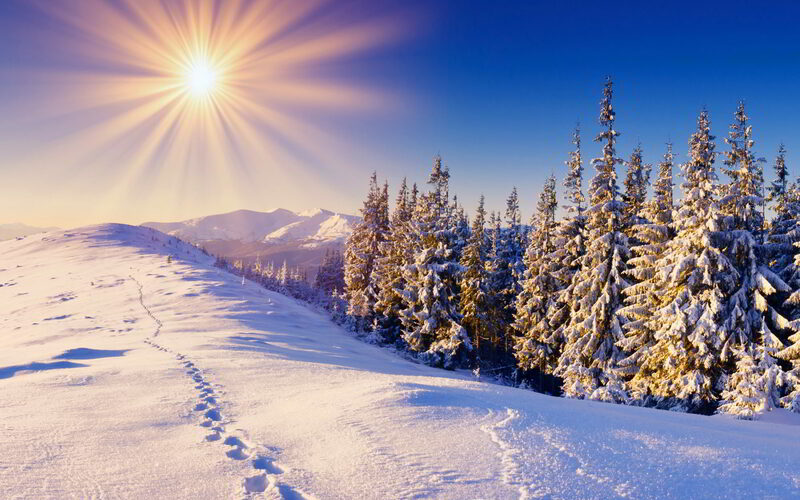 Fresh snow radiates approximately 80% of damaging UVA rays. That means even when you are riding the gondola up the mountain or sitting in your car listening to NPR, UVA rays are penetrating the glass. By now, we should all have a favorite sunscreen and what works in the summer also works well in the winter. Just in case, we asked Dr. Ellen Gendler if it’s okay to lighten up on the sunscreen for winter. She said, “How you protect your skin in the winter largely depends on where you live. If you live in Florida and spend a good deal of time outdoors or in your car, then you still need a high-SPF sunscreen that is broad-spectrum. If you live in a cold climate and work in an office (and don’t sit right by a bright, sunny window), then tinted moisturizer with an SPF 30 or higher should be sufficient for daily use.” Dr. G especially likes sunscreen with DNA repairing properties as you can repair and protect your skin at the same time. Coolibar is a fascinating company, run by women and heralded worldwide for taking sun protection seriously. If you see clothing brands labeled as SPF protection, it’s not accurate. SPF stands for Sun Protection Factor, which measures the amount of time it takes for sun-exposed skin protected with sunscreen to redden from UVB (“burning”) rays. UPF is a broad-spectrum UVA and UVB measure for fabric, and it rates the amount of UV radiation that penetrates a fabric and reaches the skin. A garment with a UPF of 50 only allows 1/50th of the UV radiation falling on the surface of the garment to pass through it. It blocks 49/50ths or 98% of the UV radiation. Clothing brands that cite SPF are not full spectrum protection and we shouldn’t fool ourselves into believing that a long-sleeved cotton tee is protecting anything. All of Coolibar fabrics can be layered underneath your favorite chunky non-UPF sweater or coat, but merino wool is the fabric of choice for cold winter weather. This poncho will keep you warm and safe from UVA/UVB rays and in a pinch, you can even hide under it. Even with all that SPF and UVF protection, nothing is as brilliant as a hat. Our all-time favorite is a felt packable version from Rag and Bone– when it isn’t on my head it is in my tote, ready for sun fighting fashion! Bottom line, there really isn’t any way to avoid our sun-fighting vigilance. Summer or winter, it’s pretty much the same news: stay hydrated, stay covered and keep using sunscreen.